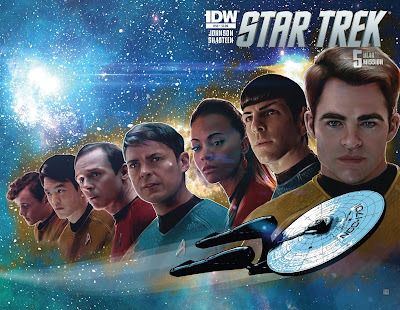 As previously announced, they are going to town with this issue to mark the fiftieth issue benchmark. 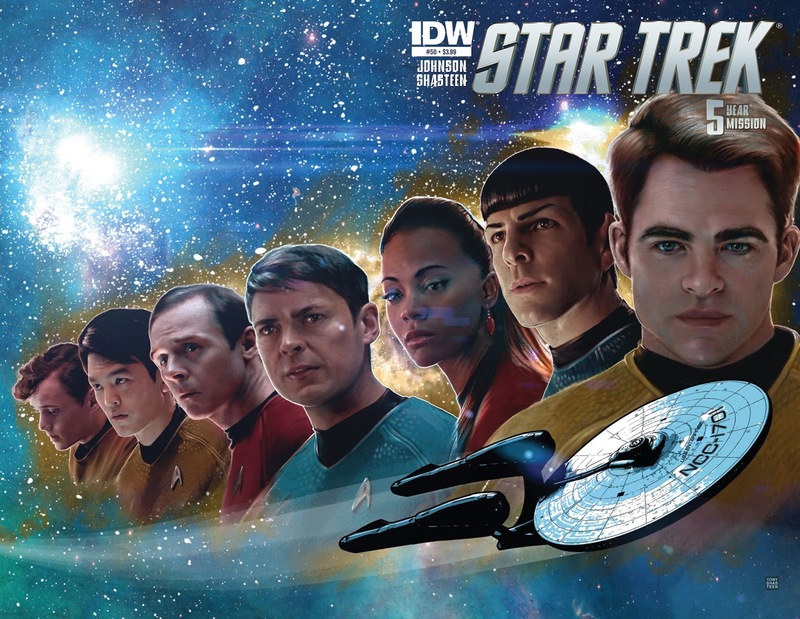 There will be bonus content "including behind-the-scenes looks at the last 50 issues of Star Trek…with hints about where the series is going, and what IDW will be doing to celebrate the 50th anniversary of the series in 2016!". The crossover event of 2015 continues here, as Starfleet and the Green Lantern Corps team up in the middle of a ring-powered galactic war! 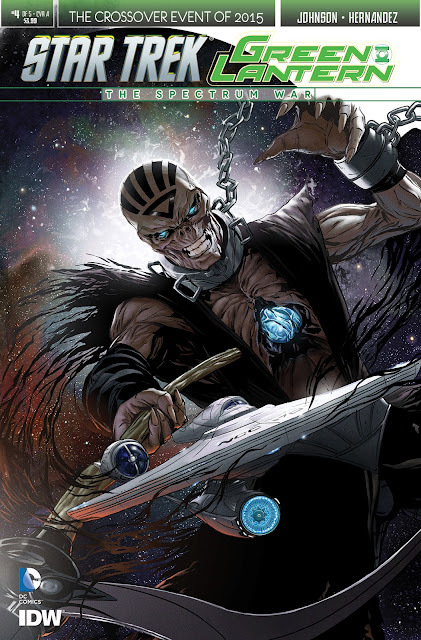 The evil Nekron has arrived in the Star Trek universe... with his eye on resurrecting the planet Vulcan itself! Don't miss out on the latest chapter of this franchise-spanning epic! This one has three covers, the rather Gold Key-esque A cover by Marc Laming, a variant by J.K. Woodward, and the latest in Garry Brown's series of subscription variants (not previewed yet). 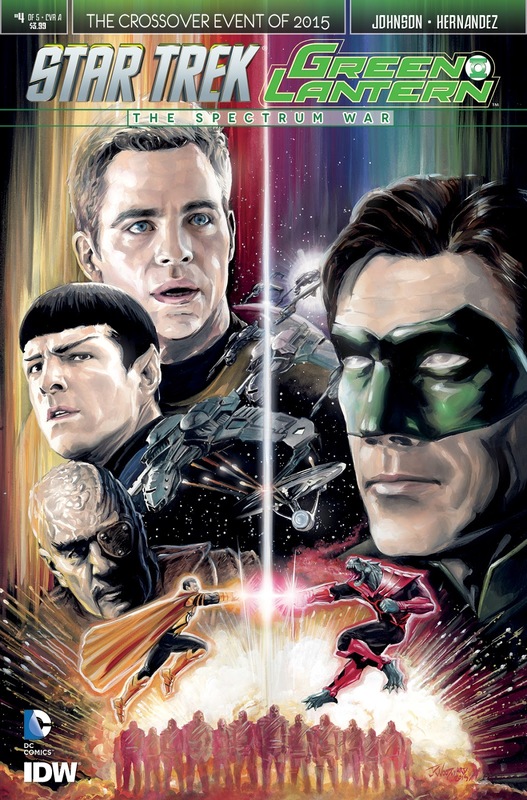 You can see the artwork for both of the covers below, sans titles, on StarTrek.com report on these releases. Written by Arnold Drake, John David Warner, and Gerry Boudreau, with art by Alberto Giolitti and Sal Trapani. Boldly going… where it all started! 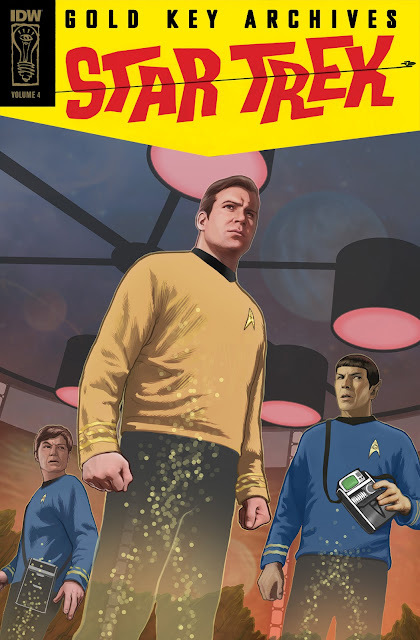 Presenting the first comic book adventures of the U.S.S. Enterprise and her crew! 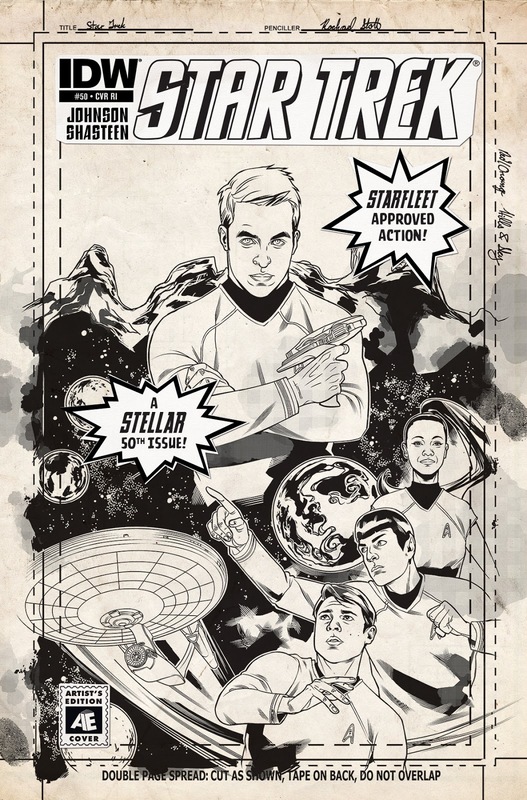 Fully remastered with new colors, volume 4 collects issues #19–24, including the stories "The Haunted Asteroid," "A World Gone Mad," "The Mummies of Heitus VII," "Siege in Superspace," "Child's Play," and "The Trial of Captain Kirk."